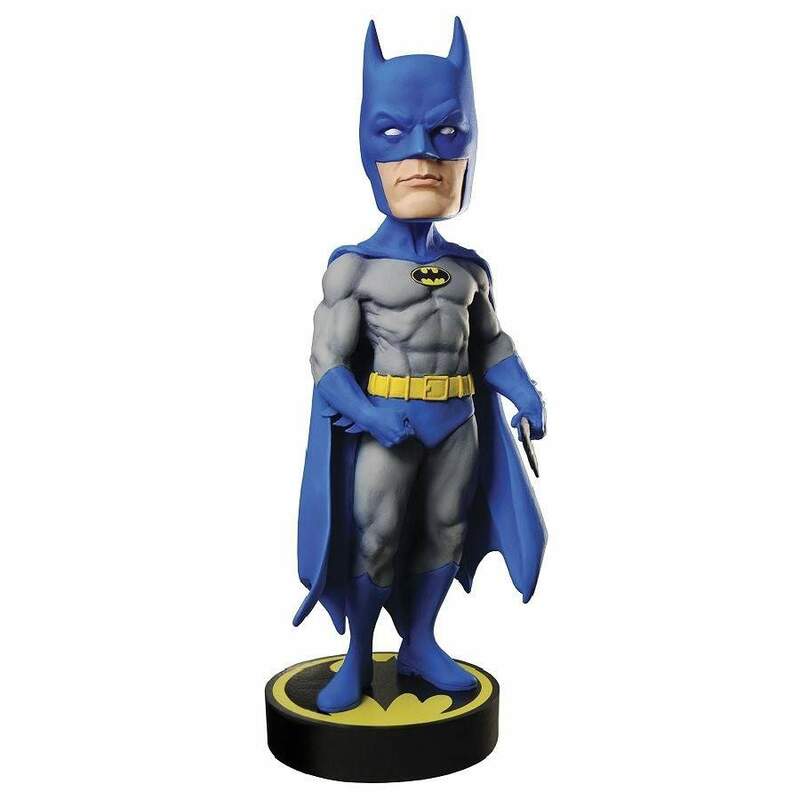 NECA's popular range of Head Knockers brings you the DC Classic caped crusader, Batman,. 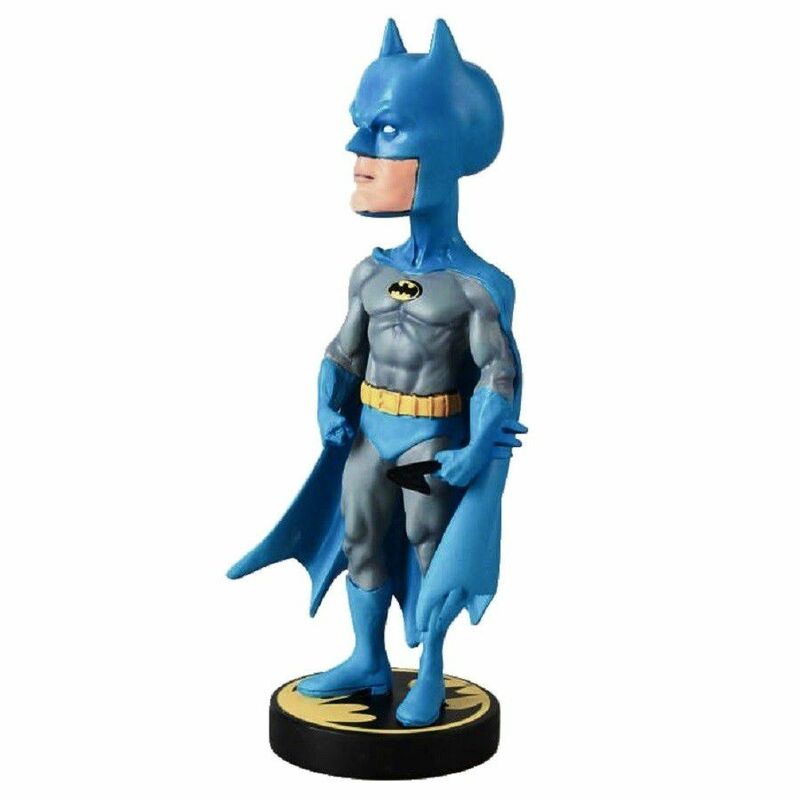 From the popular line of Head Knockers from NECA, we have the DC Classic Batman, which is one for all those old-school comic fans out there. 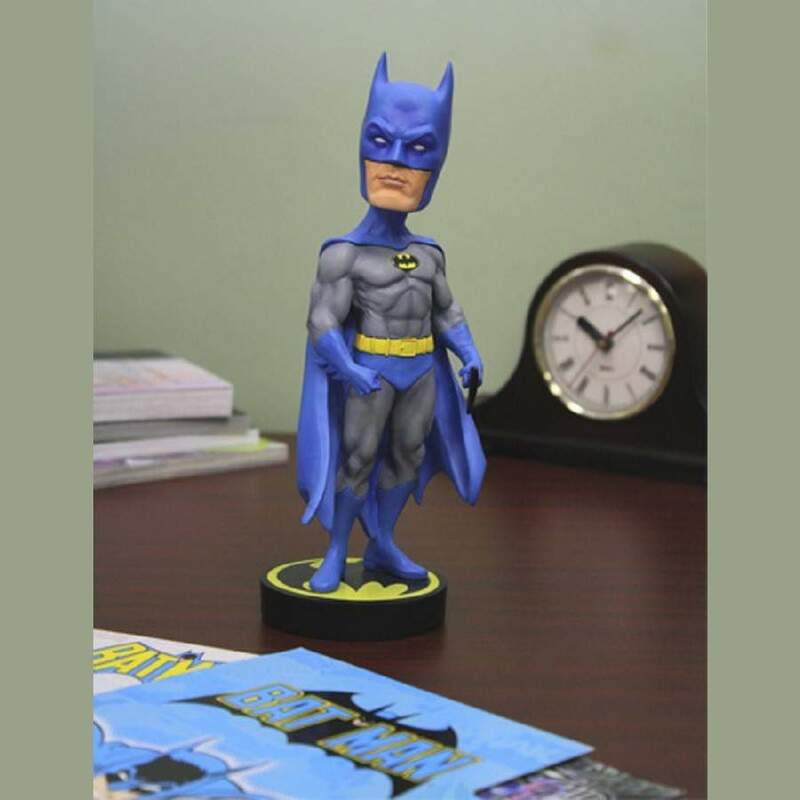 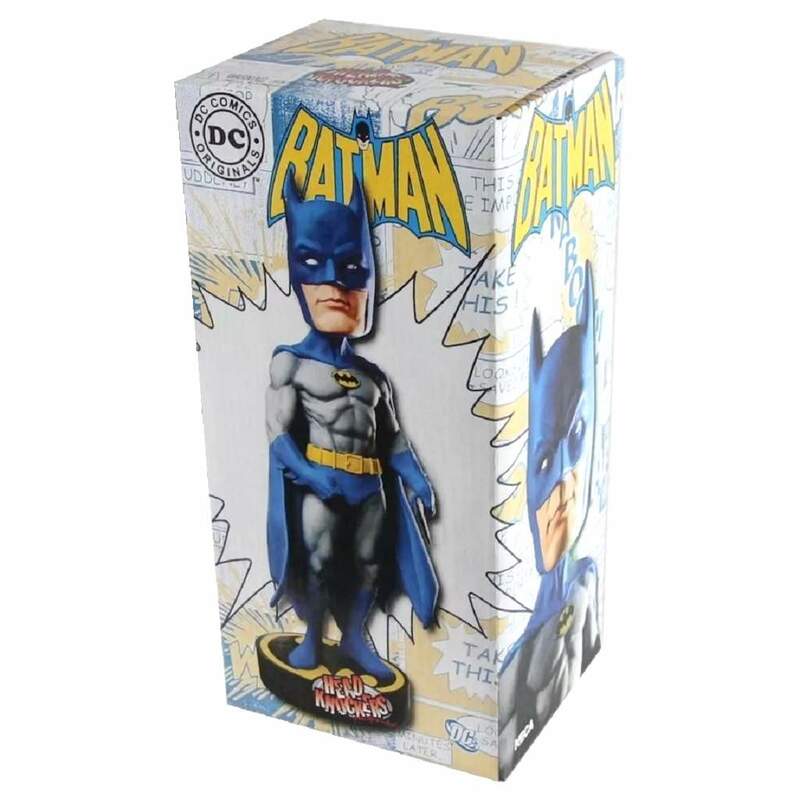 Standing at approximately 8″ tall with bobbling head, the caped crusader is cast in resin and hand painted for incredible detail and he's sure to reduce crime in the vicinity of your desk or shelf and is perfect for fans young and old!